This article by Anne Bayefsky originally appeared on Breitbart.com. The UN made me do it. That’s how Obama officials are explaining Secretary Kerry’s intense efforts to move Israel onto the front burner, and shove over the bloody turmoil immediately affecting millions of Israel’s neighbors and the imminent catastrophe of an Iranian nuclear weapon. Speaking to reporters on July 30, 2013, senior officials said the administration was seeking “to avoid a train wreck” at the United Nations. “Throughout the course of this year Palestinians have been making clear that if they couldn’t see progress on the peace front, their intention would be to seek other elevations of their status…at the UN.” “A new dynamic vis-à-vis the United Nations,” was driving the immediacy for renewed talks. That Netanyahu agreed to release 104 Palestinian Arab prisoners was widely broadcast publicly -- starting with a letter to the Israeli public by the prime minister himself. Heartache and fury, but no secret here. However, release of the prisoners was only one of the three major demands of Mahmoud Abbas -- the others being agreement to begin negotiations on the basis of the '67 lines, and freezing of building beyond the '67 line, i.e., in eastern Jerusalem and Judea and Samaria. And we have pretty solid information that building will be slowed, if not terminated all together. Actually, already has been slowed. But what about beginning negotiations based on the '67 line? This is a question -- of more than a little significance -- that has consumed me and many others. Although definitive answers are next to impossible to come by. Yesterday I spoke with several persons connected with relevant government agencies and drew a "no comment" about the basis for negotiations. Someone from the Foreign Ministry told me candidly, "We've put a fog out over everything." Indeed. He "explained" that "this increases the chances of success." I didn't tell him that I thought what this really does is increase the government's ability to prevent the electorate from finding out something that it doesn't want us to know. As well as stimulate the rumor mill. So there is enormous anxiety and unease. A terrible thing when trust in the government has been destroyed, but that's where we are. With renewed peace talks between Israel and the Palestinian Arabs starting this week in Washington, opinions are already be offered about what the outcome will be. And the consensus is that these talks will fail. If true, the question is why they are destined to fail -- and over time, it appears that there is a consensus about that too. As a friend pointed out to me, when Abbas said no in 2008 or Arafat said no in 2000, the media analysis goes into great detail in order to show that the offer being made to the Arabs was not really as generous as advertised. Mideast Media Sampler 07/30/2013: Does Kerry Know Palestinians Were Supposed To Reject Terrorism 20 Years Ago? The past two days has seen the reporting on the beginning of Israeli-Palestinian peace talks. An Israeli government official, speaking on the condition of anonymity because he was not authorized to discuss the matter publicly, said many of those who remained in Israeli jails, like the 104 now chosen for early release, had been involved in particularly gruesome acts. Pat Condell Dedicates Video To Enthusiastically Thank Those Who Block Him in "Who's Afraid of Free Speech"
Pat Condell thanks those who got YouTube to take down one of his videos as well well as those who brought his website down. In the process, we learn a thing or two about Condell and his videos -- and about those who anonymously try to block him. Remember that Kerry's last Middle East negotiations was when he thought he would easily wean away Syria's dictatorship from Iran. Barry Rubin writes that Now We Know The Truth: What's Behind U.S. "Peace Process" Policy. And what is behind Obama's Middle East peace policy? With the Palestinians poised to take their claim for statehood to the International Criminal Court and United Nations bodies, American officials say the two sides were facing a downward spiral in which the Israelis would respond by cutting off financing to the Palestinian territories and European nations might curtail their investment in Israel, further isolating the Israelis. Rubin analyzes the various points that we learn from this statement. Defeating Islamists: Breaking Them or Taming Them? In the aftermath of the coup d'état in Egypt, a consensus has emerged, to cite an anonymous Obama administration official, that "Trying to break the neck of the [Muslim] Brotherhood is not going to be good for Egypt or for the region." The thinking behind this view is that (1) it's better to have Islamists in the political process than violently rebelling and (2) participating in civil society has the potential to tame Islamists, making them see the benefits of democracy and turning them into just another interest group. In October 2011, as the Libyan uprising neared its end with the death of Mu'ammar al-Qaddafi, Human Rights Watch (HRW)—a highly influential global organization claiming to promote universal moral principles—published a statement condemning Western governments for their "apparent eagerness to embrace Qaddafi because of his support on counterterrorism, as well as lucrative business opportunities" that, according to HRW, "tempered their criticism of his human rights record in recent years." What this statement conspicuously failed to note is that HRW had been an active participant in this eager embrace of the Qaddafi regime. Bogged down in faltering nuclear talks with the European powers nearly 10 years ago, Hassan Rouhani did something that no Iranian diplomat before or since has managed to do. Before I write about "those talks," I want to return to the matter of the Palestinian Arab prisoner release approved by the Cabinet yesterday at the strong-arm prodding of Prime Minister Netanyahu. This entire incident signals for me a time for activism. Those of us who care deeply about this issue must not be silent. From time to time I've asked my readers to participate in activism by way of sending messages to members of our government. And I'm asking it here, more extensively than I ever have before. If you care, truly care. If you are alarmed. And angry. And saddened. Please, work with me here so that our voices can begin to be heard. One of the few positive developments following the rise of the Islamists during the "Arab Spring" is that today many average and/or nominal Muslims are seeing the true face of Islam and its teachings. And many—as evinced by the June 30 Revolution of Egypt, which saw the ousting of the Muslim Brotherhood—don't want to deal with it. Shame, and grief and fury. Just a part of what I am feeling right now in response to the decision of the Cabinet late today to release 104 Palestinian Arab prisoners as a "gesture" to the PA so that they will come to the table. Yet, my friends, I am hardly alone in this response. Yesterday, I cited the poll indicating that a huge majority (85%) of Israelis was opposed to what their prime minister has just done. There are many feeling shame, and grief and fury. And I thought it important to send this out tonight and tell everyone that Binyamin Netanyahu and the Cabinet that caved under his pressure do not represent all of us. Not by a long shot. Nor is it our intention to remain silent. In April, Jordan's King Abdullah came to Washington and passionately urged the United States to become "captain of the team" supporting Syrian rebels fighting to oust President Bashar Assad. Though he got his wish with the Obama administration's June 13 announcement that it will begin providing direct military aid to the Free Syrian Army, the diminutive monarch has a strange understanding of teamwork. When the Los Angeles Times subsequently published an article detailing how CIA instructors were on the ground in Jordan training rebels, the king's prime minister told reporters straight-faced that there is "no training … whatsoever of Syrian opposition forces" in Jordan, and insisted that his government is "not interfering in the incidents under way in Syria." The rebels' other major Arab sponsors display similar duplicity. After the EU released its guidelines for denying funding for groups and organizations with connections with Judea and Samaria (West Bank), suggestions were put forward for what Israel should do in response. 2011 – 1,027 Palestinian prisoners for Gilad Schalit. I strenuously opposed these unbalanced exchanges (e.g., the Schalit one), even as I acknowledged the honorable Israeli intent not to abandon soldiers. "A Good Move and a Very Bad One"
Minister of Defense Moshe Ya'alon has ordered a cessation of all cooperation with the EU in area C of Judea and Samaria. The IDF will neither grant new permits nor renew existing permits for EU construction projects in Area C (where Israel has full civil and military control). Of course, as far as anybody knows, Kerry may have had in mind to make Gaza into an independent country as well. Middle East expert Maj. Gen. Aviv Kochavi talks to The Wiesenthal Center about the ramifications of the war in Syria that go beyond just trying to overthrow Assad -- and the impact on Israel, Turkey, Lebanon and the region in general. First, Latma looks at the reservations Palestinian prisoners have for the prospects for peace, while Netanyahu reveals his Plan 'B' for the peace talks. Somehow I missed the video that came out over the 4th of July weekend. Technorati Tag: Israel and Peace Talks and Netanyahu. "From One Thing to the Next"
Prime Minister Netanyahu is very busy these days "preparing" for "peace negotiations," which, given the dubious status of the situation, leaves me scratching my head in confusion. But that's just figuratively -- a way of saying that it seems strange. Because I think I have it (i.e., him) figured out. No doubt the renewal of talks will be greeted as a major achievement. It isn't. If two parties are forced to talk they are unlikely to succeed. Other motives are present. Israel is being pressured by an Obama Administration which it doesn't trust, under highly threatening regional developments. Based on a widely circulated video and statements from the Vatican, it was believed that Fr. Francois Murad, a Catholic Syrian priest, was recently beheaded in Syria. 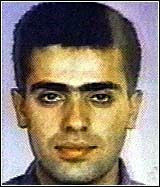 It was not long before others "vigorously denied" the story, saying that the Christian priest was actually shot dead. And now that's fast become the "big" news. For example, according to the Telegraph, "The footage, said to show Father Francois Murad, 49, as the victim in a brutal summary execution by foreign jihadists is likely to be an older video that bares no relation to the death of the Catholic priest. Father Murad 'died when he was shot inside his church' in the northern Syrian Christian village of Ghassaniyeh on June 23, three separate local sources, who did not wish to be named, told the Telegraph." So apparently that makes it better? I agree with one aspect of Jeffrey Goldberg's, Kerry's Mideast Fool's Errand Ignores Reality. The title. Much of the rest of it is out of date, or simply wrong. MEQ 2008 -- Efraim Karsh: Did Edward Said Really Speak Truth to Power? It assumes Israel is "occupying" Judea and Samaria (West Bank)-- this despite the illegitimacy of the Jordanian rule that preceded it. Just as the 2012 elections maintained the status quo in Washington, D.C., so too did they reinforce decade-old trends concerning Muslims and the American political process: The Muslim population further solidified as a Democratic voting bloc, and parties' outreach efforts once again legitimized Islamists. However, 2012 was notable for Islam's impact as a political issue in the presidential primaries and several congressional races. Whether or not Washington experiences a power shift in the years to come, it is likely that the current relationship between Muslims and American politics will hold for the foreseeable future. Avoiding the pitfalls of this reality begins with understanding it. Arlene Kushner Parses Netanyahu's Statement: Is He Going To Make More Concessions? "Israelis and Palestinians played down on Monday the prospects of their envoys meeting in Washington any time soon, and the White House said getting the two sides to agree to a peace deal remained an 'enormous challenge.'" Can we breathe easy yet? Yesterday, the European Union’s foreign minsters voted unanimously to designate Hezbollah’s “military wing” a terrorist organization. This will give European nations the authority to disrupt the organization’s finances. The vote required unanimity and it was a long time in coming. Kerry's Proposed Talks: Is This Any Way To Conduct A Peace Process? The United States of America officially announced the resumption of negotiations when they are nowhere near arranged. The mass media breathlessly followed each claim and got it WRONG. In light of the European Union's ban on funding and cooperation with Israeli institutions operating in the "occupied territories," Douglas Murray asks the obvious question "Occupied Territories": What About Cyprus, Kashmir, Tibet? After all, there is the occupations by China of bordering Tibet, Pakistan of bordering Kashmir as well as Morocco of the Western Sahara -- none of which prevents the EU from having full diplomatic and trade relations with these countries without a whimper or tear for the occupied. Then there is Turkey's occupation of Cyprus. Of course, what makes the EU's latest double-standard even more delicious is that the occupied island of Cyprus is actually a member of the EU. As such, shouldn't it surely command the most detailed and persistent attention from the international body? Yet this is not so. The northern part of Cyprus has been illegally annexed for the last four decades by Turkey. It is not as though Turkey shares a border with the island. Nor does it have -- as Israel has with the West Bank -- any legitimate historical, political or other territorial claims on the northern part of the island. There is no security reason for Turkey to sustain its occupation, as there is an obvious need for Israel to have defensible borders that do not permit terrorists from the West Bank to fire rockets into Israel, as do its friends in post-disengagement Gaza or southern Lebanon. Into the fifth decade of Turkish occupation of Cyprus, there is still no serious dictating by the EU to Turkey over what it must do about northern Cyprus. Turkey does not find itself under even the most remote international pressure finally to disengage from its illegal occupation of the northern part of Cyprus. And that is because for some inexplicable reason the EU does not consider it imperative that Turkey should disengage from the illegal occupation of an EU member state. It does not consider that the future of any region depends on this action. Yet it does persist, even now, with its view that it can dictate to Israel about its borders. And that it can have a constructive role in doing so. Of all the fallacies of the EU, that is surely the topmost. With 100,000 dead in Syria, Egypt in chaos, the potential for Hezbollah in Syria to ignite a Shiite-Sunni clash in the region -- the EU barges in on an issue which will do nothing to quell any of these firestorms. Just one more indication of the failure of the European Union. Technorati Tag: Israel and EU and Turkey. Perhaps one of the oddest stories appearing yesterday was Iran's Mullahs Demand Justice for Trayvon. “The acquittal of the murderer of the teenage African American once again clearly demonstrated the unwritten, but systematic racial discrimination against racial, religious and ethnic minorities in the US society,” Iranian Foreign Ministry Spokesman Seyed Abbas Araqchi said. He noted that the court ruling has also seriously put under question the fairness of the judicial process in the United States. 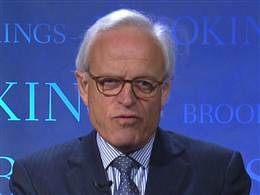 There are reports -- as yet unconfirmed by the Obama administration or Kerry specifically -- that Martin Indyk will be playing a "key role" in Israeli-Palestinian Arab negotiations. These French politicians may be on to something important. Never one to back down from a challenge, I have prepared a set of proposals for consideration by the French people, so they too can achieve a full, lasting, and just peace with their historic opponents. As recently as 2012, it appeared that Islamists could overcome their many internal dissimilarities – sectarian (Sunni, Shi'ite), political (monarchical, republican), tactical (political, violent), or attitudes toward modernity (Salafi, Muslim Brotherhood) – and cooperate. In Tunisia, for example, Salafis and the Muslim Brotherhood (MB) types found common ground. Differences between all these groups were real but secondary, as I put it then, because "all Islamists pull in the same direction, toward the full and severe application of Islamic law (the Shari'a)." 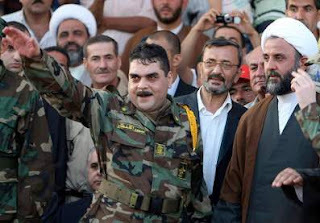 Ali Khamene'i and Mahmoud Ahmedinejad in better times. This sort of cooperation still persists in small ways, as shown by a recent meeting between a member of Turkey's ruling party and the head of a Salafi organization in Germany. But Islamists have in recent months abruptly and overwhelmingly thrown themselves at each others' throats. Islamists still constitute a single movement who share similar supremacist and utopian goals, but they also have different personnel, ethnic affiliations, methods, and philosophies. Video: "The Founding Fathers Did Everything They Could to Keep us From Having a Democracy"
...Both the literal and the merely figurative mobs clamoring for justice against Zimmerman are in important respects asking for the same thing. Sure, the lynch mobs want Zimmerman dead, while those pushing for a federal case just want him locked up -- an important distinction to be sure. But they both want to reject the findings of a court of law and a duly appointed jury because they do not like the result. In this, both are manifestations of arbitrary power, the bane of conservatives since Edmund Burke. Arbitrary power is the exercise of force for grievances found neither in law nor reason. It is the marshaling of violence to remedy resentment and justify caprice. Arlene Kushner: Did Kerry Invite Abbas and Netanyahu To Washington Just So He Wouldn't Have To Shlep To The Middle East? The knot is a big one, pulled tight, and progress in untangling it is, not surprisingly, slow. But I want to begin today with a thought I expressed yesterday: that, in spite of the direction of Kerry's announcement and subsequent news reports, it's not a "done deal" with everything in place for negotiations to begin. I referred yesterday to Kerry's wording, which had a subtly tentative feeling to it. Today I'm finding more evidence of this. Daniel Pipes: Must Islamists Be Autocratic? Advice: Don’t read about the latest double-talk and impending supposed breakthroughs in the media. Look at underlying interests; not imaginative headlines. I would like to offer my readers clarity, but there is none right now with regard to projected "peace negotiations." Even without clarity, it is unquestionably a vile situation -- wrought with innuendo, misrepresentations, unfortunate statements and arm-twisting. And these same factors render it a mess. My discussion of the situation will be brief, and I will follow with more when the fog lifts a bit and a more accurate understanding of what's going on is possible. As it is, I held off writing over the last couple of days because the situation was changing by the hour and it was impossible to offer anything even remotely definitive. If John Kerry Is Serious About Israel - Palestinian Peace, He Should "Get Game"
Even if John Kerry is right that after 6 visits to the Middle East he has been able to narrow the differences between Israel and the Palestinian Arabs, at best all that means is that he is close to getting the two sides to where they were before Obama gave Abbas the idea of insisting on the freezing of settlements as a pre-condition to sitting down and talking with Israel. Instead, if he really is serious about accomplishing something here -- Kerry should get wise to the game Abbas is playing and just go home. Because that is what this is all about: a game. We are all familiar with the reckless use of the word "Apartheid" in reference to Israel -- as if just saying the word makes it so, despite the obvious disconnect between those accusations and the reality of life in democratic Israel. Elder of Ziyon has come out with a number of posters in the past the illustrate the intellectual dishonesty and double standards of such people. Here is another poster: Who are the haters? This week, Latma presents an EU representative who explains what really is behind its new directive on its recognition of 1967 "borders." Islam's 'Cartoon Jihad' Strikes Again! A Muslim student's vandalization of a university seminar's cartoon exhibit at the Universität Duisburg-Essen (UDE) in Germany's Ruhr region has once again manifested Islamic intolerance of critical commentary and independent intellectual inquiry. The affair's aftermath, moreover, sadly shows yet again how democratic public authorities are often less than vigilant in defending freedom against the encroachments of Muslim faith. 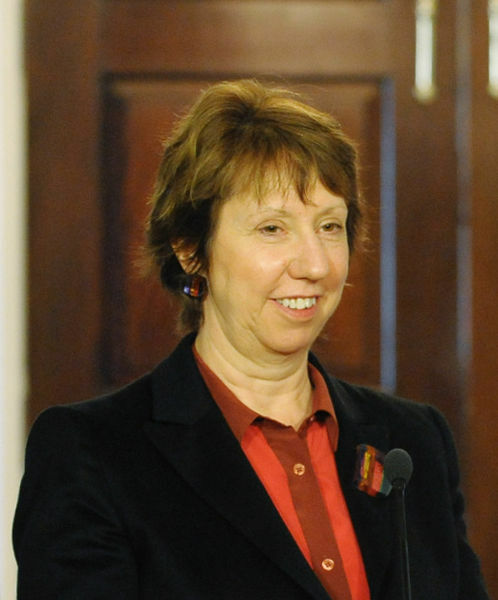 Why Do Egyptians Consider US Ambassador To Egypt Anne Patterson A Muslim Brotherhood Lackey? U.S. Ambassador to Egypt: "Muslim Brotherhood's Lackey"
Why do millions of Egyptians, including politicians and activists, consider Anne Patterson, the U.S. ambassador to Egypt, the Muslim Brotherhood's "stooge"—as she is so commonly referred to by many in Egypt, from the media down to the street? In America, some are aware of matters, such as that "Patterson in particular resisted opportunities to criticize the Morsi government as it implemented increasingly authoritarian policies. In a memorable May interview with the Egyptian English-language news sit[e] Ahram Online, she repeatedly dodged pointed questions about Morsi's leadership. 'The fact is they ran in a legitimate election and won,' she said…. Republicans from Texas Senator Ted Cruz to House Foreign Affairs Chairman Ed Royce have pounced on statements like these, increasingly seeing Patterson as the key implementer for a policy that at least offers tacit support to the Muslim Brotherhood." Following the Egyptian media, however, one discovers that the reasons Egyptians dislike Patterson are many and unambiguous. "I would expect those who truly want peace and stability in the region would discuss this issue after solving more urgent regional problems such as the civil war in Syria or Iran's race to achieve nuclear weapons. As the Prime Minister of Israel, I will not allow the hundreds of thousands of Israelis who live in Judea and Samaria, on the Golan Heights and in Jerusalem, our united capital, to be harmed. We will not accept any outside diktat about our borders. This issue will be decided only in direct negotiations between the sides." Today's confirmation hearing for Samantha Power, President Obama’s pick for UN Ambassador, should not have been such smooth sailing. Over the past four and a half years the Obama administration’s UN policy has lurched from failure to failure and Power has not been a mere passenger along for the ride. The European Union (EU) has just released new regulations governing certain dealings with Israel. Starting in 2014, the EU (as a unit, individual states are not governed by these guidelines) will prohibit any dealings with private Israeli entities that liver or operate in Judea and Samaria, what is otherwise known as the West Bank. The idea is to make a distinction to show Europe's seriousness about considering Israel's "occupation" to be in violation of international law. This is an old story for the European Union — it strives for relevance but its anti-Israeli tendencies make it particularly unsuited to play any constructive role in the Israeli-Palestinian conflict. 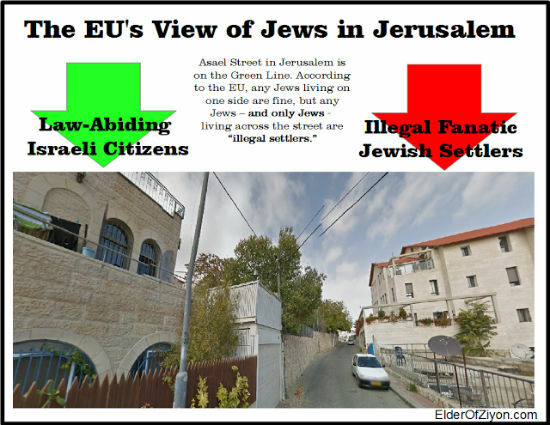 EU-affiliated organizations back phony NGOs that operate in Israel for the purpose of delegitimizing the Jewish state. Government officials freely banter about anti-Israeli and anti-Semitic tropes. The Jerusalem Center came out today with a new video: Who Else Is Being Injured by the Vilification of Israel. Will The Chaos Of The "Arab Spring" Finally Correct The Wrongs Caused By The Sykes-Picot Agreement in 1916? Did Jews Abandon the Temple Mount? The claim that no Jewish temple ever existed in Jerusalem and that Jews have no rights whatsoever on the Temple Mount is part of the "temple denial" doctrine that has been increasingly internalized in Palestinian academic, religious, and political circles since the 1967 Six-Day War. Others, both Jews and non-Jews, believe that a temple did exist but indicate that the Jews abandoned the area soon after the destruction of the Second Temple nearly two thousand years ago. From that time onward, Jews lost all direct contact with the Temple Mount and relocated their central worship site to other locations, such as the Mount of Olives and later the Western Wall. The facts do not support either of these claims. Today is the saddest day on the Jewish calendar. A day of mourning and fasting. It is the day on which the Temples were destroyed, and, traditionally, is seen as the time at which a number of other calamities have fallen the Jewish people. We are taught that the Second Temple was destroyed in 70 CE because of sinat hinam -- causeless hatred between Jews. And it is this that I want to address here before going on to other matters. Raymond Ibrahim Takes A Look At The Supremacist Nature of Muslim Alledged "Grievances"
In 2012 in Pakistan, as Christian children were singing carols inside their church, Muslim men from a nearby mosque barged in with an axe, destroyed the furniture, desecrated the altar, and beat the children. Their justification for such violence? "You are disturbing our prayers…. How dare you use the mike and speakers?" Welcome to the true face of "Muslim grievance"—what I call the "how dare you?!" phenomenon. Remember it next time "progressive" media and politicians tell you that Muslim terrorism—whether the 9/11 strikes, Fort Hood Massacre, Boston Bombing, or recent London Beheading—are products of grievances against the West. Missing from their analyses is the supremacist nature of Muslim grievances. B'Tselem has written urgently to the Legal Adviser in Judea and Samaria, demanding his response to a grave incident in which soldiers detained a five-year-old boy in Hebron for two hours, after he threw a stone. The soldiers threatened the child and his parents, handcuffed and blindfolded the father, and handed the boy over to the Palestinian Police. Detaining a child below the age of criminal responsibility, especially one so young, has no legal justification. Detaining a child who throws rocks at car driving by has no justification? "Israel desperately wants to see the Obama Administration harden its position on Iran immediately — to convey to Iran that if it does not halt its nuclear program, its regime will not survive....'increased pressure on Iran,' led by the US, notably including the revival of 'a real military threat'"
Today we see a response from US officials, ostensibly designed to reassure our government: Don't worry, they are saying, we're not going to ease the sanctions on Iran, even if we do want to "test" Rohani with direct talks that will take his measure. “'We are open to direct talks, and we want to reinforce this in any way [we can],' a senior US official said, adding that the administration sees 'words that indicate Iran might be going in a different direction.'" So, the question is whether they are totally and willfully obtuse, or they think we are idiots. David P. Goldman on "The Economic Blunders Behind the Arab Revolutions"
"Minister Benjamin Netanyahu is reportedly to launch a new, last-ditch effort in the next few days to persuade the United States to credibly revive the military option against Iran. "If this proves unsuccessful, Channel 2 reported, Netanyahu will have to decide whether to launch an attack on Iran’s nuclear facilities by this winter at latest, because after that, the report indicated, the assessment is that Israel’s window for military intervention will close." On July 8, the Obama administration finally did the right thing in Egypt—by not calling what Mohamed Mursi's historically huge opposition rightly hails as its "corrective revolution" a coup. Thus it prevented the automatic cutoff of America's $1.6 billion of mostly military aid, without which our connection to the largest Arab state (and perhaps the Suez Canal) would be lost. But it would be a grave mistake if the U.S. should insist that the aid would continue only if everyone –the deposed Muslim Brotherhood (and other Islamists) among them—is included in the now-rebooted "transition to democracy." Nor should the Egyptians want to go to this route. Such would be an historic error that will sabotage whatever good might come from the already diminished influence which that aid buys – as well as from the heroic actions of the Egyptians themselves. In addition to Egypt's probable lack of enough secular and civil society to create a genuine democracy, the seemingly imminent civil war would not permit that transition to happen, at least not now—and perhaps not ever. With Monday's opening clash in front of the Ministry of Defense that left roughly fifty Islamists dead and one soldier slain, after numerous other killings over the year of MB rule, and culminating in scenes such as the murder of opposition teens by throwing them off of an Alexandria rooftop last week, the much-feared Algeria 1992 redux may already have begun. Yet as tragic—and even heartless—as this might seem, it would be better to have that civil conflict now then to wait until the Islamists are better armed and prepared, especially having been invited back into power to share the running of the state. That will give only them both renewed legitimacy and access to material resources that they do not deserve—and which the last year shows they will only abuse. Why Are Those Who Claim To Care About The Fate of Gaza Quiet Now? Each time the Palestinians get involved in internal conflicts in the Arab world, they always end up being the biggest losers. When Israel blockades Gaza to prevent the influx of materials that Hamas terrorists use to fire rockets at civilians in violation of international law -- the world is in a uproar and claims that Israel does not have the right. Indeed, after the UN Security Council claimed Israel's blockade of Gaza was illegal, the UN Palmer Commission concluded it was legal. But when Egypt blockades Gaza, the self-appointed human rights activists are silent -- as Khaled Abu Toameh writes about the hypocrisy of the West when Egypt Punishes the Palestinians. 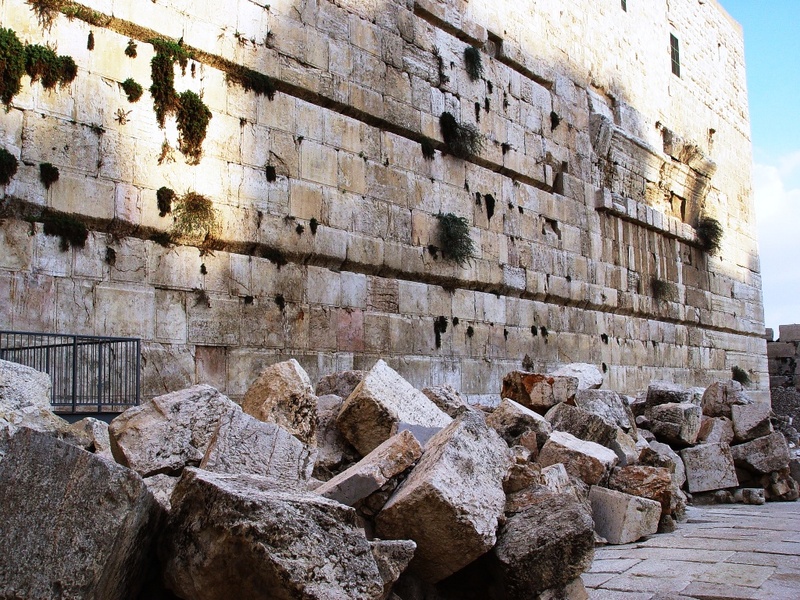 This week's Latma examines what is really behind recent events in Egypt, and a look at the difficulty of learning the lesson of Tisha B'Av. Arlene Kushner: Was Egypt Under Morsi Less Unstable Than We Thought? Well, I did write in my last posting was that "there are often conflicting reports on any given situation, so that nailing down the facts is a challenge." But did I have to make the case myself? My correction today has to do with the identity of Egypt's newly appointed interim prime minister. I wrote on the 9th that it was Samir Radwan. I didn't pull this name out of the air. I read on reputable English language Egyptian sites, first that he was the front runner, approved by the Islamist Nour party, and then that he had been offered the position. Silly me. I assumed that was it. 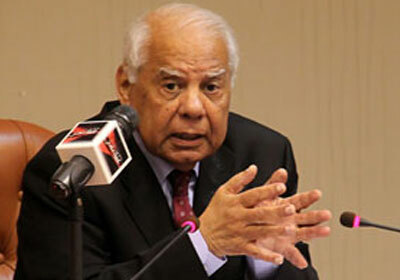 The real new interim prime minister is Hazem El-Beblawi (below). Like Radwan, he is a liberal economist and served as finance minister (although after Mubarak was brought down); he was also approved by the Nour party. He is now busy moving ahead and trying to form a government. Perhaps most significantly, he has secured commitments of billions from Gulf states, which should serve to keep things together until a viable economic plan can be put in place. According to the NYTimes, $12 billion has come in already from Saudi Arabia, the UAE and Kuwait. These are states delighted to support a counter to the brotherhood. "The streets seethe with protests and government ministers are on the run or in jail, but since the military ousted President Mohamed Morsi, life has somehow gotten better for many people across Egypt: Gas lines have disappeared, power cuts have stopped and the police have returned to the street. "The apparently miraculous end to the crippling energy shortages, and the re-emergence of the police, seems to show that the legions of personnel left in place after former President Hosni Mubarak was ousted in 2011 played a significant role — intentionally or not — in undermining the overall quality of life under the Islamist administration of Mr. Morsi. "When Mr. Mubarak was removed after nearly 30 years in office in 2011, the bureaucracy he built stayed largely in place. Many business leaders, also a pillar of the old government, retained their wealth and influence. "Despite coming to power through the freest elections in Egyptian history, Mr. Morsi was unable to extend his authority over the sprawling state apparatus, and his allies complained that what they called the “deep state” was undermining their efforts at governing. "While he failed to broaden his appeal and build any kind of national consensus, he also faced an active campaign by those hostile to his leadership, including some of the wealthiest and most powerful pillars of the Mubarak era." If this report is accurate, there may be less instability inherent in Egypt's situation than what is being described by commentators. The US, it should be noted here, has decided it will honor its commitment to deliver four F-16 jets to Egypt in the coming weeks, part of a package of 20 jets to be supplied in total this year. The first four were delivered in February. The deal, made originally with Mubarak in 2010, was inherited by Morsi, and is not being overturned now. Unrest in the country remains a concern, but better fighter jets in the hands of the military than a Brotherhood regime. With this announcement, it becomes clear that the US has decided not to consider the change of regime a "coup." There's a great deal of facile talk about responding to the demands of the people. Whether Egypt needed (or needs) these jets at all is another story. But it must be understood that this is part of the $1.3 billion in aid supplied to Egypt by the US: aid money allocated to Egypt is turned back to the US for the jets. El-Beblawi is not the only one moving ahead: The Brotherhood continues to try to stir up the unrest to the maximum, while the military is playing tough, bringing charges against Brotherhood leaders. The military is gearing up for a major operation against Islamists in the Sinai, which Israel is expected to approve. A report, based on an ostensible Egyptian security source, is being floated that the military has killed 32 Hamas gunmen who were in the Sinai. But this is not confirmed -- and in fact is denied in several quarters. Whether it's the case or not, Hamas has clearly taken a hit in terms of support with the downfall of Morsi and the ramifications of this have yet to play out. A rocket was launched into the area of southern Israel adjacent to Gaza this afternoon. No one was injured. There is speculation as to whether Hamas, post-Morsi, is trying to flex its muscles. According to experts at IHS Jane's Intelligence Review who have studied satellite imagery, Saudi Arabia has a (hitherto unknown) missile base deep in the desert, with ballistic missile launching pads that have markings pointing to Tel Aviv and to Tehran. Seems the Saudis -- who despise and fear Iran and, as a result, have increased their "discreet back channel communications" with Israel -- are covering all their bases, or what they perceive to be their bases. While they are major instigators of terrorism, I do not think they are about to launch missiles on us. "We cannot be certain that the missiles are pointed specifically at Tel Aviv and Tehran themselves, but if they were to be launched, you would expect them to be targeting major cities. We do not want to make too many inferences about the Saudi strategy..."
The Saudi armaments are dated and it is believed an update is in process. Maariv has reported, -- relying on "sources in Washington" -- that Netanyahu "was willing to release 40 Palestinian prisoners with blood on their hands… even without any Palestinian commitment to return to the negotiating table." According to this report, the US and Israel have both already informed Abbas about the impending release. However, according to Haviv Retig Gur, writing in the Times of Israel, a senior official in the prime minister's office says this report has "no basis in reality." "Former Egyptian president Mohamed Morsi knows neither Thomas Jefferson’s advice that 'great innovations should not be forced on slender majorities' nor the description of Martin Van Buren as a politician who 'rowed to his object with muffled oars.' Having won just 52 percent of the vote, Morsi pursued his objective — putting Egypt irrevocably on a path away from secular politics and social modernity — noisily and imprudently. "It is difficult to welcome a military overthrow of democratic results. It is, however, more difficult to regret a prophylactic coup against the exploitation of democratic success to adopt measures inimical to the development of a democratic culture. "Tyranny comes in many flavors. Some are much worse than others because they are more comprehensive and potentially durable. The tyranny portended by Morsi’s Muslim Brotherhood promised no separation of politics and religion, hence the impossibility of pluralism, and a hostility to modernity that guaranteed economic incompetence. Theologized politics, wherein compromise is apostasy, points toward George Orwell’s vision of totalitarianism — 'a boot stamping on a human face — forever.'" "Why couldn't Egypt's deposed President Morsi admit mistakes? Why couldn't he 'compromise' with the military and stay in power? And what can one learn from Morsi's behavior about the concept of leadership in the Middle East? "In the Middle East, leaders almost never admit that they made mistakes: doing so would bring shame...on them. Shame in the Middle East is about what others say about you -- not what you think of yourself. While to some extent this is true in Western culture, in general Westerners are more susceptible to feelings of guilt, rather than shame. The Western concept of compromise -- each side conceding certain points to the other side in order to come to an agreement -- does not exist in the Middle East. What is paramount is preserving one's honor...People will go to any lengths to avoid shame; they are prepared to go to jail, risk death, and even kill family members (usually females) to uphold what they perceive as their honor and that of their family. The consequences of dishonor are always permanent and always collective, often extending to the entire family and even the entire clan. "This battle to avoid shame at all costs indicates why Morsi, Erdoğan, Saddam, Assad, Arafat, and Abu Mazen – when they either have painted themselves into a corner -- or have been painted into one -- can never back down. "If our policy-makers could understand this cultural imperative, they might better be able to understand why we constantly fail to achieve our policy goals, and how better to achieve them. "...Both Arafat and Abu Mazen, both of whom have led the Palestinian people, cannot sign any agreement with Israel to end the Israel-Palestinian conflict and recognize Israel and a Jewish state. When, at Camp David in 2000, Israeli Prime Minister Ehud Barak offered Arafat 97% of everything said he wanted, Arafat jumped up and said that he could not sign such an agreement: he 'didn't want to have tea with Sadat' – a reference to the Egyptian leader who had been assassinated at least partially for having signed an agreement with Israel. Arafat knew that had he signed, he would have been regarded as having backed down from a confrontation and therefore shamed; been considered a traitor by his people, and most likely killed. "U.S. President Clinton, in a display of how little he really understood about leadership and the values of the Middle East, looked on at Arafat's reaction in amazement. But no compromise would have been possible. Egypt, during its negotiations with Israel for the peace treaty signed in 1981, held out for 100% of what it asked for -- and got it. Had Arafat gotten 100% of what we wanted, Israel would no longer exist. "The same condition continues to hold true today. Why Secretary of State Kerry and the Obama administration believe they can persuade Abbas to sign an agreement guaranteeing Israel's right to exist in any form is astonishing. These leaders can lead only so long as they are not perceived as a shamed sell-out and traitor." Please share this far and wide, my friends, with people who require this education -- particularly decision-makers. What galls me is why people such as Clinton and Rice, who experienced astonishment at the PLO intransigence, do not stand up now and tell Americas -- leaders and electorate -- that negotiations are just not going to work. Bill Clinton, in particular, is a duplicitous enabler, smiling at his wife when she was secretary of state, and at Obama, when in truth he knows better. Terribly naive, I guess, to expect honesty, forthright pronouncements for the sake of the nation. They just play the game. Let's pretend, and let's pressure Israel. Rhode mentions Erdogan as one of those unable to back down. Remember the Netanyahu "apology," which distressed many of us when it was made? It had been predicted that this would bring a normalization of Israeli-Turkish relations. It has not happened and is not likely to happen. And now Erdogan is struggling with his own (relatively low key) unrest. Michael Oren is leaving his position as Israeli Ambassador to the US in September. He will be replaced by Ron Dermer, a very good man. Dermer has been a close advisor to the prime minister, to his right. Today Oren gave an interview to Haaretz; it typifies the sort of positions he's taken that make me glad he's leaving. "And when an American president goes to Egypt and goes to Turkey and doesn’t come to visit us, it causes a sense of insecurity..."
Excuse me? What a gross oversimplification of the situation. Oh that I would have the time and space necessary to expand upon this. Oren was then asked questions about Netanyahu's readiness to go to war against Iran in spite of world objections. He said there is no escape from our responsibility as a sovereign nation to act on our own behalf. He believes the prime minister is capable of handling such a mission. Technorati Tag: Israel and Egypt and Morsi and Michael Oren. Daniel Pipes: Is Netanyahu Turning Left? Latma Video: Bibi Tells Us What He Really Thinks! Daniel Pipes: Can Islam Be Reformed?